Source : We obtained access to the Fortnite Mobile on Android APK thanks to help from XDA Junior Member thesbros, an expert at data-mining. 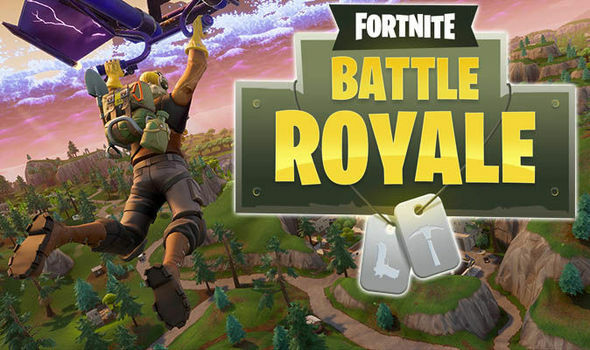 Decompilation and subsequent analysis of the Fortnite Mobile on Android APK were done with assistance from XDA Recognized Developer Quinny899, also known as Kieron Quinn of Mighty Quinn Apps. The gameplay footage and discovery of the bypass were made by our very own Max Weinbach. He hopped into a game on his Samsung Galaxy S9+ and recorded the video for us. He played the game on “Epic” graphics quality (which translates to “High” in the hardware requirements list we obtained.) He also used Samsung Game Tuner to further increase the resolution and performance. Thanks to Vulkan Graphics API support, both the Samsung Galaxy S9 and the upcoming Samsung Galaxy Note 9 should be able to play the game on the highest quality setting. The photos below are from my Google Pixel 2 XL, though I did not enter a game myself. The photos show off the game’s menu and settings screens. Also, these photos confirm that Fortnite Mobile on Android will integrate with Samsung Galaxy Apps. And lastly, for those of you who want to run the game on a rooted Android device as soon as the APK is made available, we have some relevant news for you. Check out the screenshot below of my attempt to run the game on the OnePlus 6. All hope isn’t lost, though. Max’s Essential Phone and Kieron’s Google Pixel 2 XL were both rooted and able to enter a game. I suspect that one or more of the system modifications I made while tinkering with my phone caused the SafetyNet check to fail, so I wasn’t able to fully play a game before being kicked. So while this means devices rooted with Magisk should be able to play the game, you should prepare for a new wave of battles with the SafetyNet API. We’re sure that XDA Recognized Developer topjohnwu will be up for the challenge, though. You’ll likely see a ton of gameplay footage go up tomorrow after the Samsung Galaxy Note 9 launch. But thanks to the skills of the developers on our community, we managed to exclusively bring you gameplay footage of Fortnite Mobile before the Galaxy Note 9 announcement. If you have any questions about the game or its release, let us know in the comments below. Lastly, if the news surrounding the game has confused you, here are a few articles we recommend you read to get up to speed.